One of the most important truth's about grace is that God keeps his people. As Ephesians 1:13-14 says, “In Him, you also, after listening to the message of truth, the gospel of your salvation—having also believed, you were sealed in Him with the Holy Spirit of promise, who is given as a pledge of our inheritance.” Because of the Holy Spirit, God’s people are marked as His children forever (Ezek. 9:4-6; Rev. 7:1-8; 9:4). In Paul’s day, a seal indicated ownership and protection. The Holy Spirit is the seal of God’s promises. The Spirit marks believers as those who belong to God. How does the Holy Spirit do this sealing work? Take a look at the Book of Acts. He does it by giving us the church. 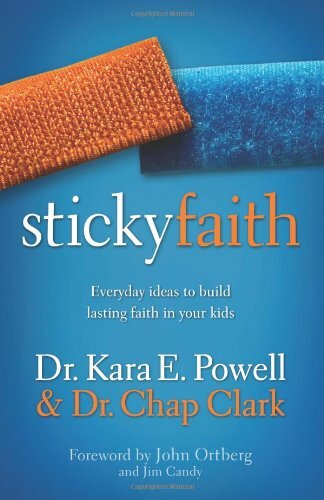 In their research for Sticky Faith, Karen Powell and Chap Clark found that lots of things are related to mature faith—being involved in service and justice, being involved in student leadership, etc. But of all the things they discovered, what stood out the most was intergenerational relationships. One of the troubles with being a young Christian is a lack of personal experience with God. But when kids have relationships with older Christians, they can learn how to relate to God from their older mentors's experience, that is, by hearing their testimonies. Chap Clark suggests that every kid needs five adults on their team. These can be structured relationships like a Sunday school teacher or small group leader at church, but they should also include organic relationships with Christians that are simply neighbors or maybe a grandparent. This is important because sometimes kids will listen to other adults in the church before they will listen to their parents. It's God's grace that keeps kids when suffering and temptation comes. Much of this grace is the grace given in community.